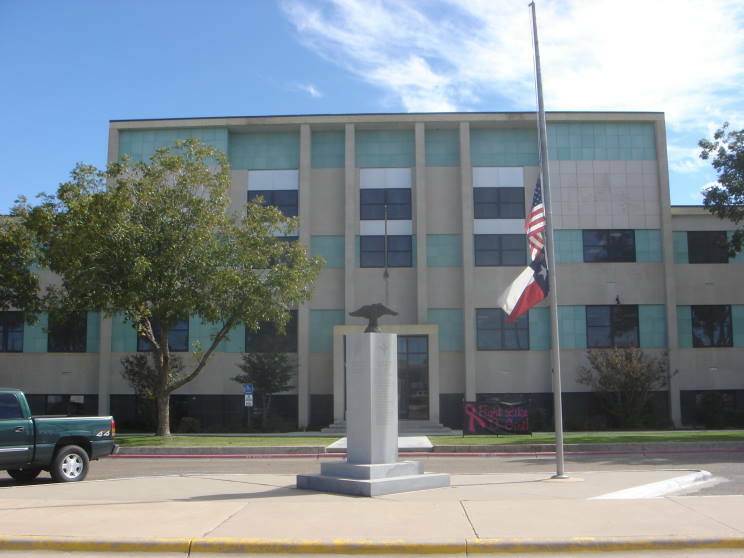 The Gaines County Veterans Memorial. 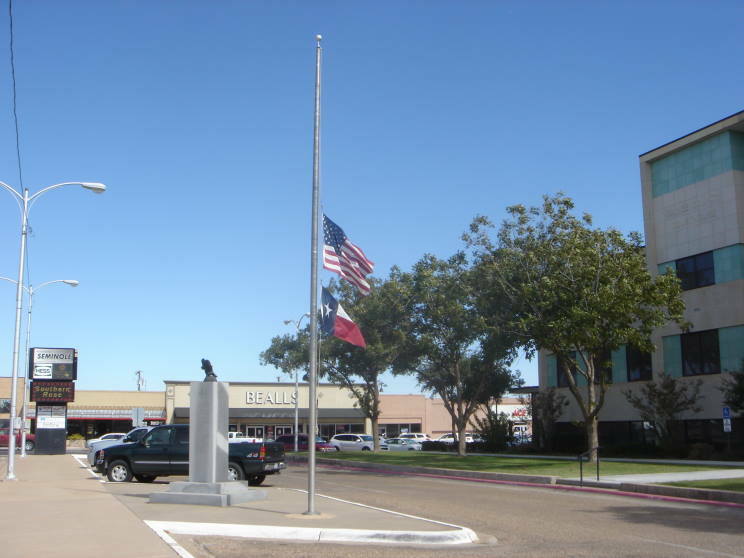 Located on the grounds of the Gaines County Courthouse in Seminole, Texas the memorial is dedicated to all local veterans of U.S. Armed Forces who served in the Great War, World War II, the Korean War and the Vietnam War. 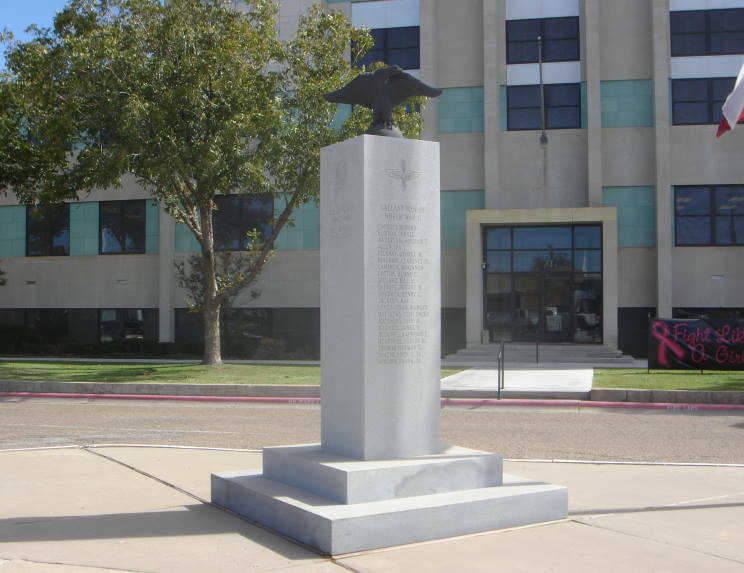 The names of those who served are inscribed on the four sides of the memorial with the insignias of the four major services engraved above. 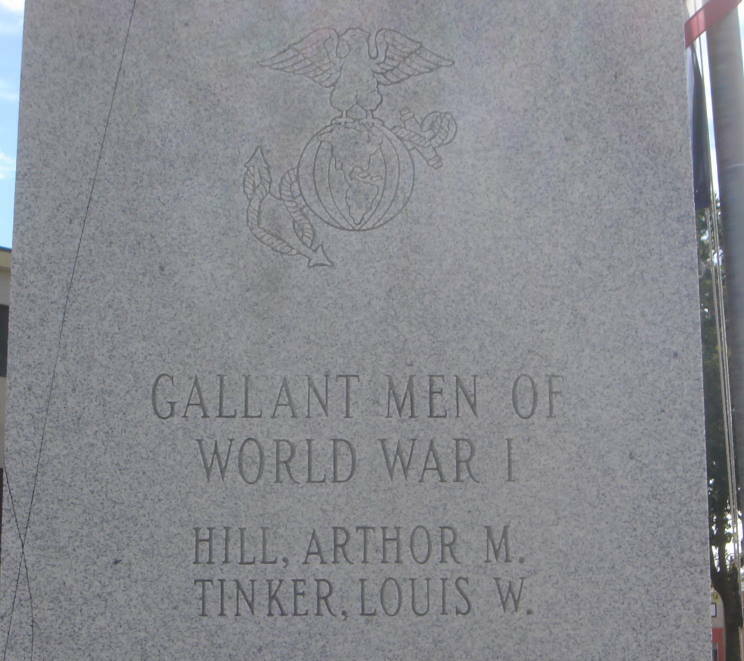 The names of those who served in the Great War (World War I). 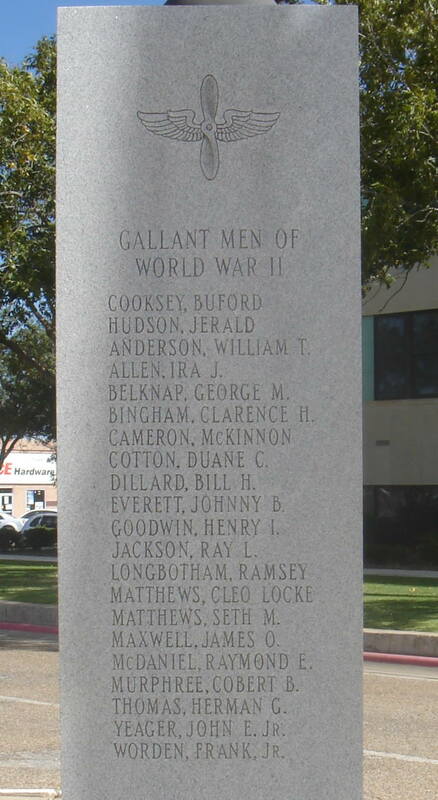 The names of those who served in World War II. 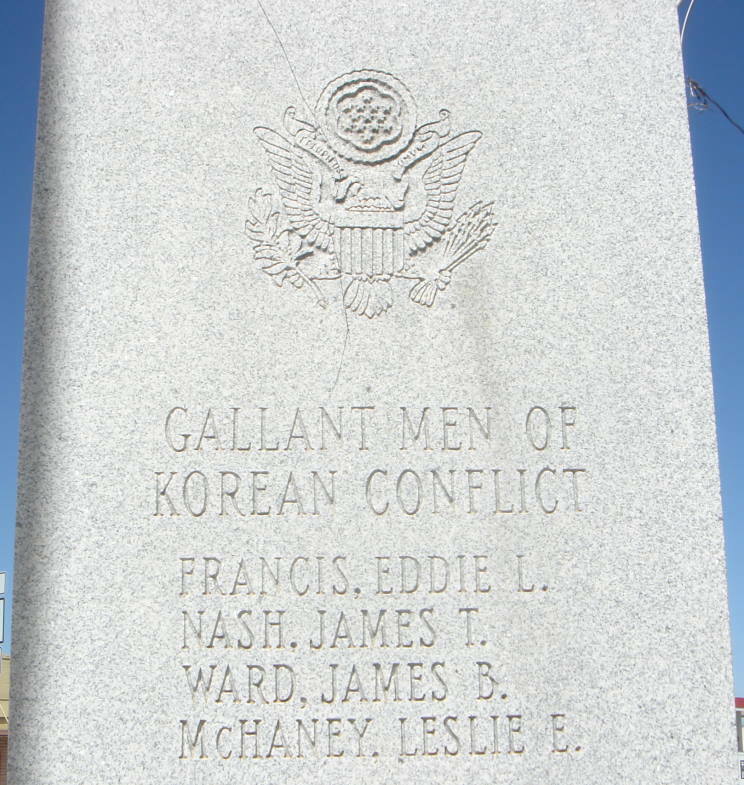 The names of those who served in the Korean War. 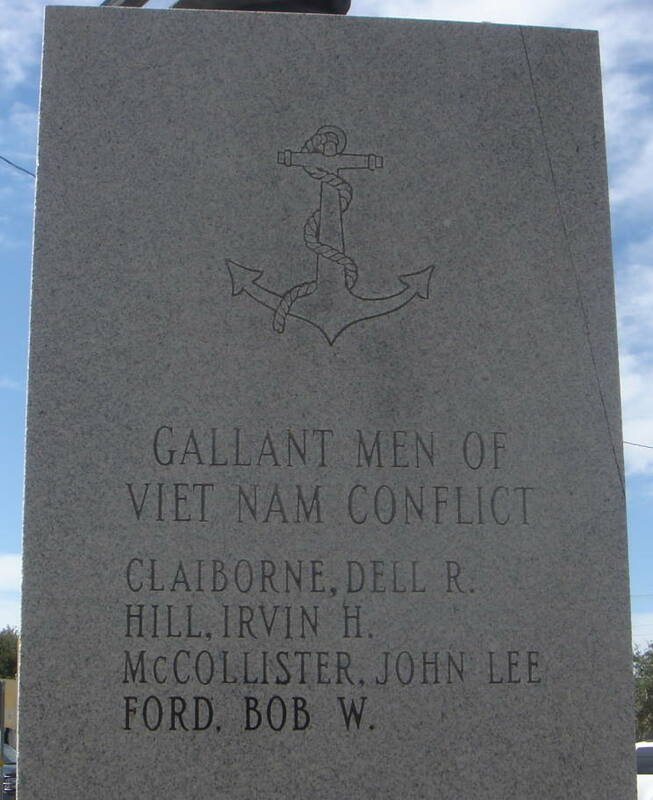 The names of those who served in the Vietnam War.